Last May, I speculated about whether the Odyssey expansion would succeed. As it turned out, my prediction of a moderate success was wrong. In retrospect, it now appears that the general reaction of the EVE Online player base to Odyssey was a resounding: "Meh." Will the Rubicon expansion, to be released on November 19, suffer the same fate? What is a successful expansion? Therefore, a key metric of success is the average number of logged-in players per day. More log-ins means more player participation and more active subscribers, in general. Since my optimistic prediction for Odyssey's success turned out to be wrong, the smart bittervet move would be to predict that Rubicon will likewise fail to increase player interest in EVE Online. But as I look over all the elements now included in this expansion, I can't bring myself to do it. Instead, I find that I have hope. 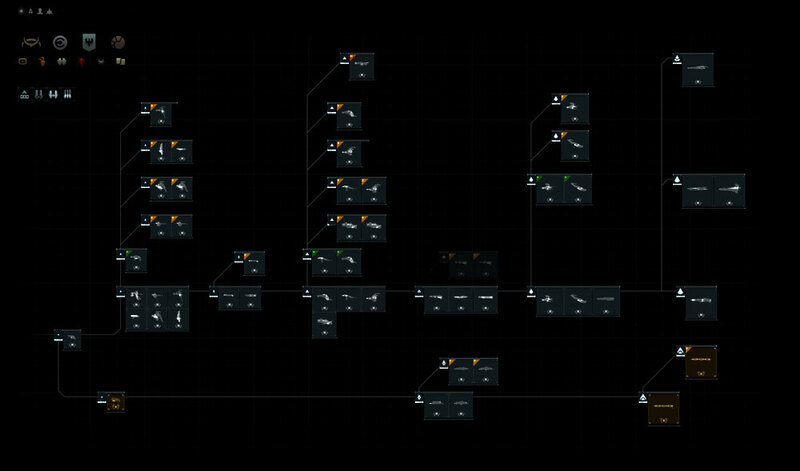 Rubicon is the next step towards increased capsuleer control of elements in New Eden. The conversion of high-sec planetary customs offices from non-player corporations to player-owned status will provide something new to fight over in empire space. In general, I think this is a good thing. Other EVE bloggers have speculated that introducing Player-Owned Customs Offices (POCOs) in high-sec will result in null-sec power blocs swooping into empire space, taking over large numbers of customs offices, and then driving the cost of planetary interaction so high as to make it unprofitable. I doubt very much that will happen. I do expect to see Goons establish a few POCOs in systems near Jita, Amarr and other trade hubs, but the vast majority of empire-based POCOs will fall into the hands of locally based corporations. In wormhole and low-sec space, this is exactly what has happened, because local corps can maintain a persistent presence and defend their assets more effectively than distant interlopers. One useful aspect of high-sec POCOs is that they should make wars in empire space more interesting. I am all for anything that helps make high-sec wars more than griefdecs by self-aggrandizing "elite PvPers" who only pop lone industrial ships in trade hubs. If nothing else, defending and attacking POCOs will provide a more interesting way to keep score. Will high-sec POCOs increase average daily log-in counts? After the initial flurry of activity by corps to establish their own customs offices, I suspect POCOs won't do much to increase player activity, except during wartime. They affect new players hardly at all. That doesn't mean it's not a good idea - it only means it won't be a major draw for new log-ins. How many people will see ghosts? By far, the most interesting thing about Rubicon is the introduction of Ghost Sites. These were not part of the initial video announcement, curiously, but I'm very happy that they have been added. I wrote about my enthusiasm for this new form of PvE in a previous post, which I will not repeat here. Suffice it to say that Rubicon was looking very bereft of any meaty content until the Ghost Sites addition. I think these will be quite popular, and players will want to try them and figure them out. They might provide the same kind of log-in increasing effect that Incursions had when they were first introduced. My only concern is that CCP says these sites will appear "rarely" - and if they aren't available to play very much, they won't have very much of an effect on drawing players in to try them. Therefore, while I love the idea of new PvE being added to the game, I suspect that Ghost Sites may not have much of an affect on new log-in counts, sadly. I hope that CCP's definition of "rare" is more generous than mine, however. We shall see. CSM8 Vice-Chairman Ripard Teg has hinted on his blog that the new mobile player structures to be introduced in Rubicon are not the beginning of a new Player-Owned Starbase (POS) system, although CCP Fozzie's comments in the initial video announcement certainly gives that impression. Regardless, I think these are going to be quite popular, and I think they will change the dynamics of EVE in unpredictable ways. I certainly expect to use the mobile depot and tractoring units to establish remote mission-running bases, and to make looting a lot eaiser. As a result of these structures, the time-to-ISK ratio for missions, complexes and combat sites will go down, and that should drive more interest in these activities by players. The siphon and cyno-jamming structures will also change conflict in null-sec space - that is, they will provide more opportunities for fights. Null-sec pilots always want more things to shoot. More of them will be logging in to shoot at these new mobile structures. I've always wanted my own, personal home base in New Eden, to defend and develop. I hope that these mobile structures are the first steps towards making that dream a reality. Meanwhile, however, the introduction of these units will definitely help increase log-in counts, and I suspect they will on a sustainable basis. These should help push the player activity curve upwards. In Rubicon, frigates and smaller ships will have faster warp acceleration rates, and ships larger than cruisers will accelerate slower. I must admit, my first reaction to this was: "Ugh. My frieghter is already a pig to fly. Why, CCP, do you hate me so?" But now that I've seen the video demonstrations of the effects of the warp speed differences on the test server, I think this could be a significant driver of new player activity. Frigates - especially interceptors - just became dramatically more useful and powerful for tackling larger and more valuable targets. Tactics for combat will change significantly. We'll see more roaming fleets of smaller, faster ships. Fewer battleships will undock without frigate and cruiser escorts to protect them. It's such a simple change, but it has huge implications for how pilots fly. I suspect this will increase the number of log-ins as more players try the new warp mechanics - and I suspect that most of them will like what they discover. This is a net plus for Rubicon's potential success. EVE players love their ships. And they love to fly new ships - or ships that fly like they are new. Some may complain that the nerf-hammer was too severe on their favorite beloved vessel, but on the whole, the ship balancing and "tiercide" initiative by CCP has been outstandingly positive. In short, the rebalancing has provided players with a larger choice of viable ships to fly. This is not just a good thing - it is great for the game. Kronos in bastion mode - pretty! I, for one, am very curious to try out the new Marauder revamp. My Kronos has been sitting in the hangar for over a year now, but the new shorter micro-jump drive cycle times and "bastion" mode might elevate it to my Level 4 missioning ship of choice. Will it replace my beloved Rattlesnake in this role? I'm not sure yet, but I'm looking forward to finding out. The big buffs to Electronic Attack Ships (a.k.a., Electronic Attack Frigates or EAFs) are long overdue, and combined with the warp speed changes, I suspect we'll see these emerge as favored tacklers in speedy frigate roaming gangs. Interceptors are going to be very scary after Rubicon. In addition to being silly, absurdly fast, they will become warp bubble immune. I'm concerned that they will now be unstoppable and overpowered. But more pilots will fly them, especially in null-sec space, that is for certain. The ship balancing changes in Rubicon are all a net positive for driving player activity. I certainly can't see how they would reduce player interest. New Missile Launcher - Yawn. Rubicon will provide a new missile option: the Rapid Heavy Missile Launcher. Initial analysis shows that these will be effective against smaller ships, and will be effective in an anti-support ship role. I suspect we'll see them mounted on specialized vessels to protect battleships against fast frigate interceptions - a nice balance for the new warp speed mechanics. But will they have any effect on player activity and log-in counts? No, not so much. Hey, Sister, can you spare a ship? Until Ghost Sites were announced, the new Sisters of EVE faction ships were the most exciting thing about Rubicon. Though the Stratios cruiser has been nerfed a bit since the original announcement, it's still an incredibly useful ship. It's also beautiful. The number of people grinding SoE missions, in order to earn enough Loyalty Points, got so high, CCP had to create two new Level 4 SoE agents to move some of the load out of the Osmon system. Based on that alone, it's clear that the SoE faction ships are going to be super-popular. I know I'm going to get two of both the Astero frigate and the Stratios cruiser, the first time I start up Rubicon on November 19. Stratios cruiser - me want! Net predicted effect on log-ins: positive, but not wildly so. The new SoE faction ships won't drive a lot of new player interest, though veterans looking for new experiences will definitely give it a try. Two recent additions to Rubicon are making wormhole-dwellers swoon. First, the ability to change Tech III strategic cruiser subsystems with fitting systems other than stations is going to make using these a lot easier in wormhole space. Players have been asking for this ability for a long time, and thanks to the persistence of the CSM, it is finally happening. Also, restoring the dropping of ships in destroyed SMAs just made POS-popping a lot more fun, and lucrative. Essentially, CCP brought back some nice fat loot pinatas into the game. Net affect: positive - more players will be looking for POSes with SMAs to go blow up now, especially in wormhole space. Also, CCP announced integration of twitch.tv video streaming into the EVE Online client. This could be really interesting, and could provide new players with more accessible options for getting training and education. I know that we in EVE University will be experimenting with it. None of these new features will increase the number of player log-ins, I suspect - but they should help to improve retention of new players, resulting in more conversions of trial accounts into subscriptions. So, in the long run, these should result in a net positive in player activity. So, will Rubicon increase the average number of daily log-ins? Yes, I think it will. Though it contains nothing that could be considered a dramatic "killer feature", Rubicon looks like a very interesting expansion with something new for every play style, and that should draw more interest in EVE Online, from both existing and new players. Will it be a huge, resounding success, bringing in a tidal wave of fanatically enthusiastic new players? And please, CCP, don't be stupid - put Valkyrie on the PC, where it belongs. And if you can find a way to integrate that with EVE Online, sheer awesomeness that would truly be. And finally - what is CCP Unifex doing these days? What mobile capabilities is he working on? Does anyone really know? One fact that encourages me is that Rubicon is being released a bit earlier in the year than past winter expansions. This gives CCP a bigger window for the next summer expansion, which I hope will be a major step forward for EVE Online. I know that my expectations for the announcement at Fanfest in May are going to be very high indeed. On November 18, be sure to set a long skill to train! Posted in Commentary and tagged with EVE Online, Rubicon. November 5, 2013 by Neville Smit.